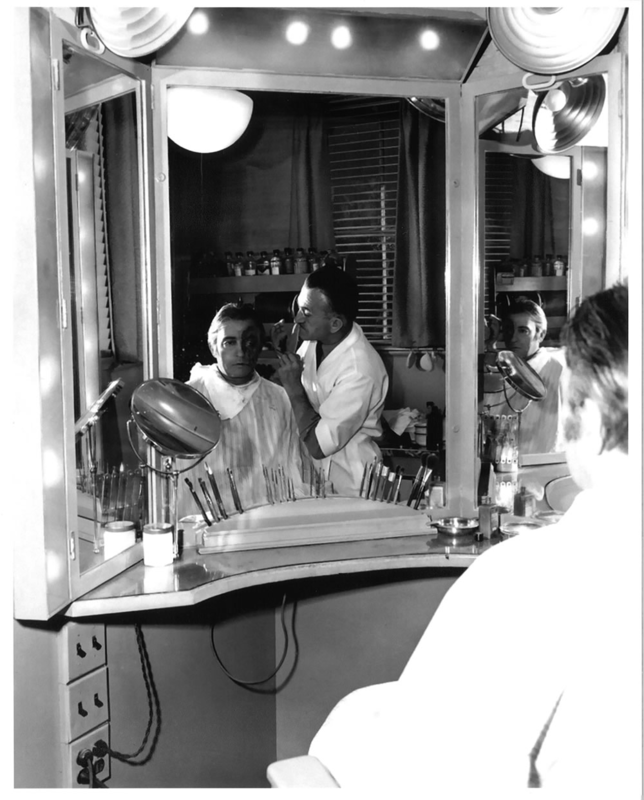 Photo from A Certain Cinema, which has quite a few vintage photo sets worth perusing. Here at Deep Fried Movies, Halloween merits a month-long celebration of all things macabre, which I’m christening the “31 Days of Horror.” That means a daily collection of posters/cover art for the entire month as well as behind the scenes stills, news about screenings and more. And where better to begin than at the beginning, with the early sound-era horror films of Universal Pictures. 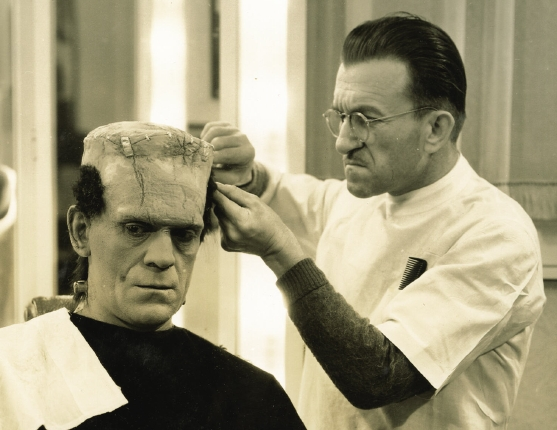 Beginning in 1931, the studio berthed memorable adaptations of Dracula (1931), Frankenstein (1931), The Wolf Man (1941) and Phantom of the Opera (1943). 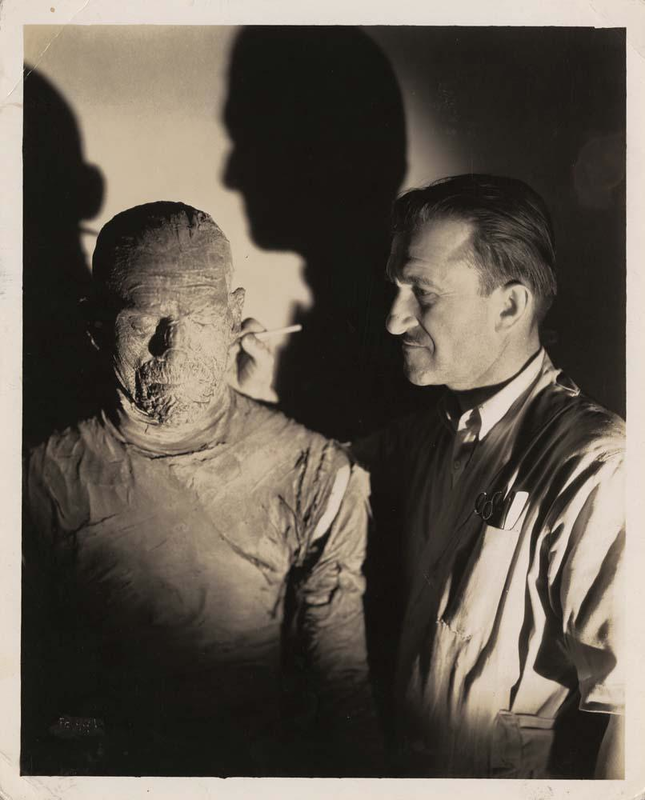 And behind each of those monsters was make-up artist Jack Pierce. 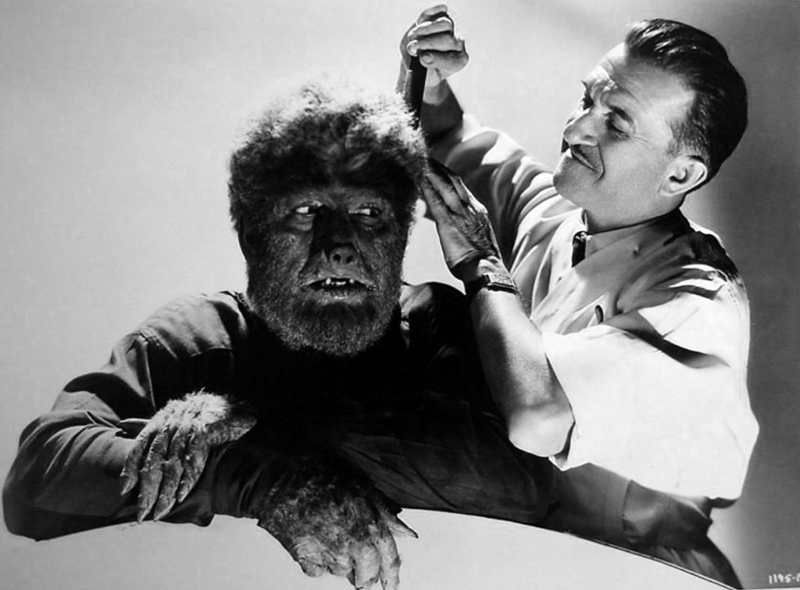 Here’s a few pictures of Pierce at work in tribute to the man who gave Bela Lugosi his widow’s peak and spent hours gluing yak hair on Lon Chaney Jr.